Patrik Wikström is principal research fellow at the creative industries faculty, Queensland University of Technology. Fully updated data and expanded sections on the structure of the music industry, online business models and the links between social media and music. "Highly recommended - will be of great interest to scholars who study the history, evolution and future of the music industry." "The second edition of The Music Industry is a lucid and astute overview of what has happened to popular music since the mp3 met the Internet at the birth of Napster. 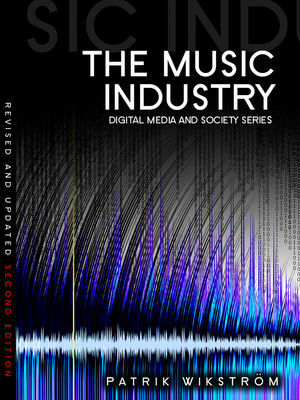 It is the first scholarly book to make real sense of the present state of the music industry. By looking at the contemporary landscape of popular music from multiple perspectives, including the fan perspective, Wikström provides clear explanations for the consequences new digital media have had for music, musicians and the recording industry." "Wikström's second edition of The Music Industry is essential reading for researchers, students and professionals wishing to understand the many challenges and opportunities facing recorded music. Wikström covers terrain that has global relevance for multinationals and grass-roots “indie” producers alike, and he does so from the useful perspective of an active and theoretically sophisticated music professional." "An outstanding contribution to a better understanding of the current revolution in the music industry and a must-read for business professionals, academics, students and all those interested in the music business."